Doctor Who: 11 From Eleven | Warped Factor - Words in the Key of Geek. On Matt Smith's birthday, Doctor Moo picks 11 of the best stories featuring the Eleventh Doctor. The 11th Doctor is my Doctor, as he is for many others worldwide, and I will always remember when the Doctor was him. As we here at WarpedFactor celebrate his era as the Doctor, let's look back at what I consider to be his best stories. 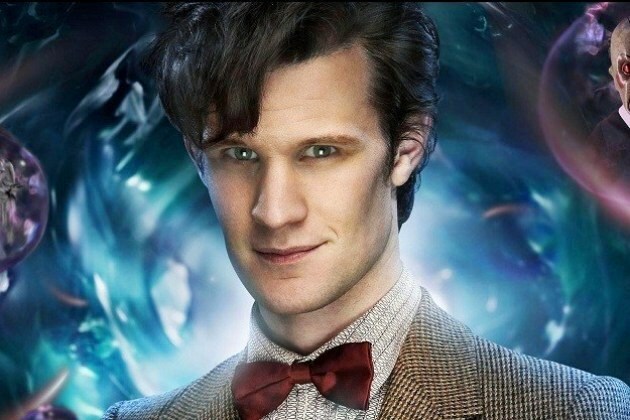 As he’s the Eleventh Doctor I’ve chosen a top 11. Wait, he’s the technically 13th incarnation? Okay then, have two bonuses on me. After two long (and I mean extremely long!) episodes of the 10th Doctor whining and moaning and generally wimping out about his impending death the arrival of the 11th Doctor with his youthful energy running around in the crashing TARDIS was pure joy and a welcome breath of fresh air. Tennant deserved a better finale but Smith hits the ground running from the word go! Also of note for fueling the “Can the Doctor become female?” debate by saying definitively that he can. 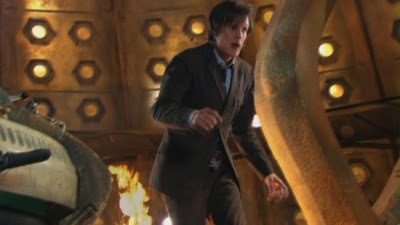 Before the 11th Doctor can fully recovered from his regeneration he has to stop the Earth from being incinerated. As well as the new Doctor, The Eleventh Hour also had to introduce a new production crew. Everything is at stake for this episode. Everything. Yet Moffat and Smith make it look effortless. It won over everyone who criticised Matt Smith for being too young, not being David Tennant, not being experienced enough, or whatever else. On top of that, on a more personal level, it was here that I became a fan of Doctor Who – and I’ve never looked back. Now fully established, it’s time to give the 11th Doctor a new companion and then send everyone on a trip to fight over-sized fish monsters disguised as vampires who have invaded 16th century Venice. The Vampires of Venice is loads of fun with its opening at Rory’s stag party, but it's also surprisingly dark with the confrontation between the Doctor and Rosanna. It advances the arc of the cracks and Silence nicely and features some of the best costumes and locations in Doctor Who history. It’s also a favourite of Peter Capaldi and that only makes it better. Smith’s first season finale remains, in my opinion, one of the best finales of the revival, as well as being the single greatest Cyberman moment since Earthshock and the best cliffhanger ever! The TARDIS is exploding with River trapped inside it, Amy is shot dead by Rory and the Doctor’s enemies have trapped him in the greatest prison ever made. 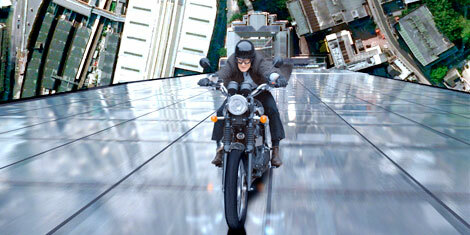 How he escapes it is pure genius. I love the stone Dalek. I love seeing Caitlyn Blackwood back as young Amelia. I love River Song, and she gets some great moments in these episodes, such as impersonating Cleopatra and blowing up the Doctor’s fez. That’s right, this is the story that introduces the fez. But best of all is that speech. You know the one. If you’re anything like me you have it set as your ringtone (seriously, I’ve got some weird looks on the train this morning). All together now… “Hello Stonehenge!” I like the way this is also a prequel, sort of, to Mummy on the Orient Express. In what I consider to be the best Christmas Special put to film of not just Doctor Who but television as a whole, we see Steven Moffat tell the tried and tested Dickensian morality tale as you’ve never seen it before by giving it a completely new twist. Kazran Sardick is brought to life by the legendary Michael Gambon (or, as I’ll always know him, Dumbledore) and the way Matt Smith is able to act opposite him is astounding. Here’s a twenty-something-year-old keeping up with, and even outperforming, a knight of the realm! The whole thing is magical and whimsical, so much so, a flying shark doesn’t damage the proceedings. Even Katherine Jenkins is able to act but it’s her singing performance that stands out as genuinely moving. 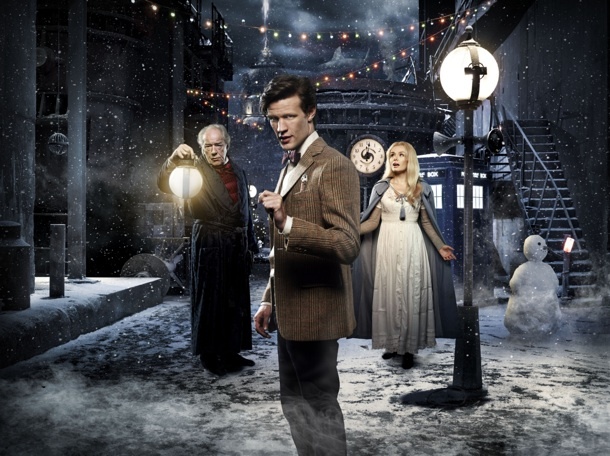 The best moment though is very very dark, when the Doctor becomes The Ghost Of Christmas Future by showing Kazran as a child what he becomes in old age. Absolutely spellbinding. Half way out of the dark. It’s the first multi-part season opener since 1989 and what better way to mark the occasion than having the Doctor die? Complete with funeral. With that Moffat sets the tone for the two episodes that follow: Anything can happen – and it does. As the story progresses we’re introduced to the Silents and see how the human race is finally able to stand up for themselves. It’s a revolution and humanity doesn’t even know it! The creepy scenes in the orphanage, the unbiased portrayal of Nixon and the invisible TARDIS all standout in a sea of excellent things but best of all is the girl. Who is she? We won’t get to know for a while yet (Spoilers!) but look, she’s regenerating. I wasn’t expecting that! 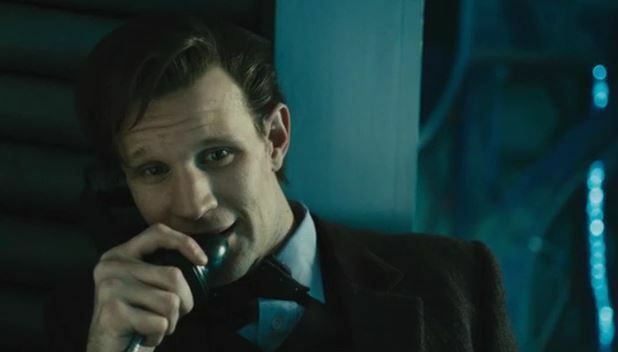 The Doctor gets to speak to the TARDIS. After, what was at the time, 48 years of traveling in time & space in the TARDIS, it’s a wonder nobody had thought of this before! Suranne Jones’s performance combined with Neil Gaiman’s script brings us a new perspective on the blue box as having thoughts and feelings of its own. Add to that the incredible villain of House, a giant carnivorous planet with a taste for Time Lords. The “plughole at the end of the universe” is a clever idea. The presence of the RTD-era TARDIS console is a surefire fan-pleaser. Nothing not to like here, all topped off by the sadness of Idris’s final words “I just wanted to say ‘Hello’” and you’ve got a perfect slice of Doctor Who goodness that explores the relationship of the madman and his box in a completely new way. A thought-provoking piece from Toby Whithouse exploring a theme of fear and faith in a way few BBC family prime-time shows ever can. Plus there’s a positive portrayal of Islam in the media, something that’s all too rare at the moment. I wish Rita had stayed on as a new companion, she was clearly being set up for that and the Doctor had certainly warmed to her enough that he’d have surely made her an offer to come with him. 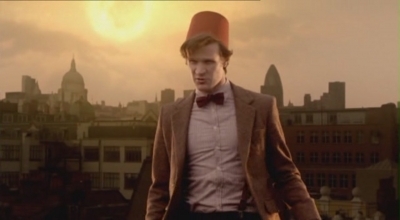 The scene when the Doctor must convince Amy to give up her faith in him to defeat the Minotaur is an emotional hard-hitter and makes this a worthy semi-sequel to The Curse of Fenric. And it’s all set in (what appears to be) a 1980s hotel, creating a great claustrophobic atmosphere. 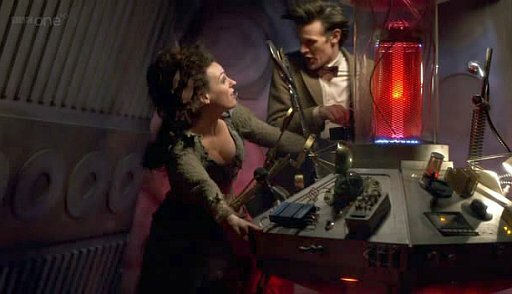 I like the idea of having a room with your greatest fear in it and the meta-reference that the Doctor’s is number 11. Also it has David Walliams in it, which is always a positive. A Town Called Mercy was the highlight of the messy and uneven Series 7A. Toby Whithouse (him again, I guess he really gets the 11th Doctor) delivers another thought-provoking piece. This time he’s exploring the idea of forgiveness and just how far someone can go before they’re beyond redemption. 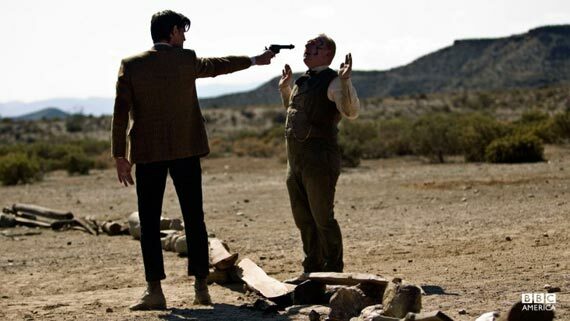 A Town Called Mercy gets seriously dark when we learn what Jex has done and how the Doctor responds to this knowledge is unsettling when he points a gun at him. Jex is not a conventional bad person as his actions since his War Crimes have been for the benefit of the town. But if that sounds too contemplative for you then let me also point out that this is still a well-paced story with lots of humour and action interspersed throughout the 45-minute run-time. The episode also features some incredible use of location shooting. The only problem is the joke about a gay horse that’s out of place and tonally jarring, but apart from that it's near perfect. Kicking off the 50th Anniversary year in style, Series 7B hits the ground running with a story about the horrors of the Great Intelligence using the Wi-Fi to download people. That’s not the point of this story though because this is all about introducing the Doctor and the real Clara Oswald to each other; advancing the impossible girl arc and treating us to a new costume for the 11th Doctor are just added bonuses. 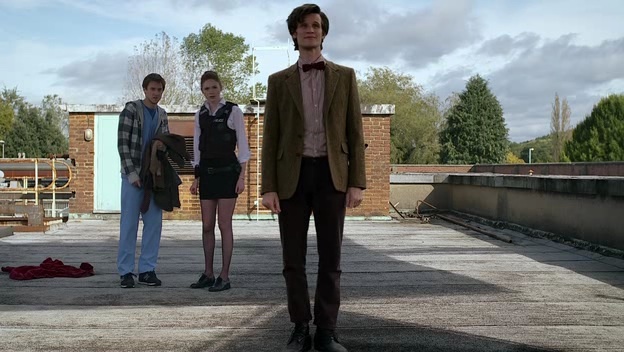 The real highlight of the story, the thing that raises this from a good episode to an excellent episode, is the punch-the-air moment of the Doctor riding up The Shard on a motorcycle and shutting down Kizlet’s operation, in true Doctor Who style, by turning their own abilities against them. This is everything Series 2’s The Idiot’s Lantern could have been, should have been, but wasn’t. Bonus points for half-introducing us to Missy. This is a genuinely scary ghost story, with a twist. 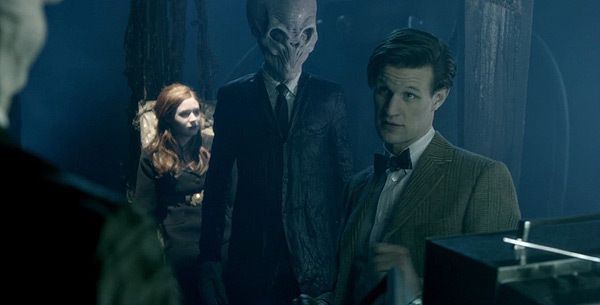 The Doctor visits a pair of ghost-hunters so that they can tell him how and/or why Clara is impossible, but ends up with more than he bargains for when a time-traveling ghost shows up in a pocket universe complete with a monster, the Crooked Man, chasing her. It turns out that the Crooked Man has been separated from another of his kind… wait a minute, this is a love story?! But this reveal, which should be unbearably cheesy, is actually done well and by giving it a heart that simply isn’t there in other episodes, it works to make this already very good story the best story of Series 7B. I also like Clara’s interactions with the TARDIS when she struggles to get it to let her in and her reaction when the Doctor travels through all of Earth’s history at once. 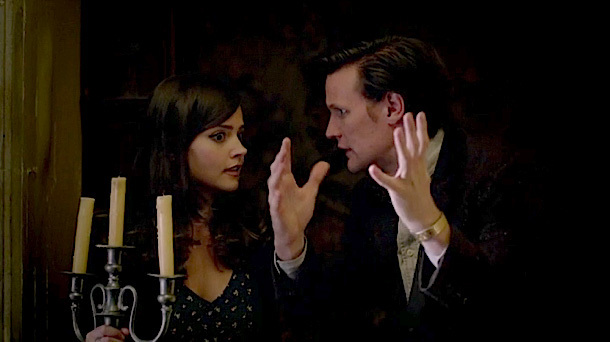 Moments like this that give Clara actual character were all too rare before Series 8 – but here we get a preview taster. There’s probably a law against not liking the 50th Anniversary Special of Doctor Who, and if there’s not then there should be! 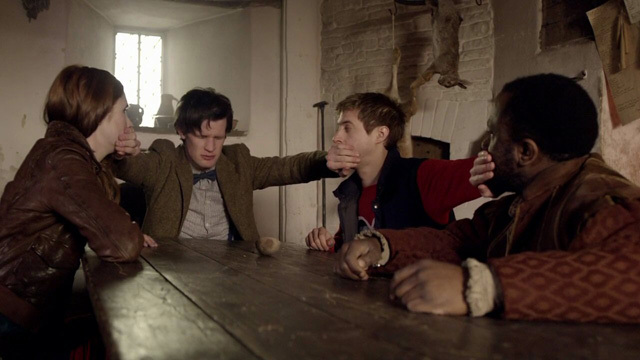 The Zygons are invading the present from the past and the 11th and 10th Doctors must team up to stop them. 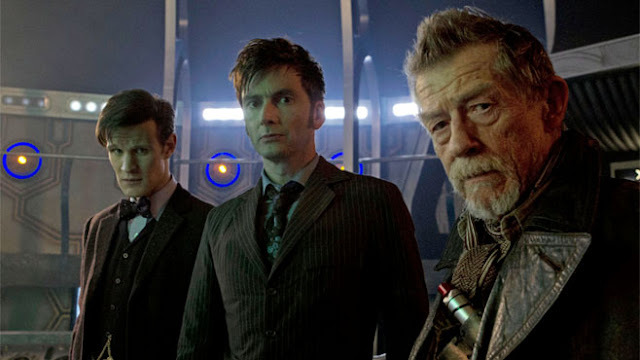 In the process they come face-to-face with the enigmatic War Doctor, attempt to save Gallifrey by working with him, The Moment and every one of the 13 Doctors. Everything Moffat throws in works perfectly. The biggest treats come from the surprise debut of Peter Capaldi’s 12th Doctor and, even better, Tom Baker’s Curator who tells us that “Gallifrey Falls No More” and thus closes the book on the first fifty years and opens it on the next fifty. This unsurprisingly topped the poll in 2014 but don’t bet against it staying at the top next time. Peter Capaldi is the 12th Doctor. He’s significantly older than Matt Smith. Some fans didn’t like that, so Moffat decided to have the previous guy show up and encourage the audience to trust his successor and give him a chance. And it totally worked! Well that's my choices for 11 (13) of the best from the Eleventh Doctor. Which episodes were your favourites?